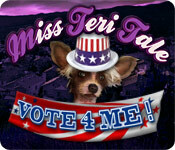 Miss Teri Tale: Vote 4 Me is rated 4.0 out of 5 by 5. Rated 5 out of 5 by arnold1049 from SLEEPER HIT This game is by the same developers as ph-Pure Hidden. 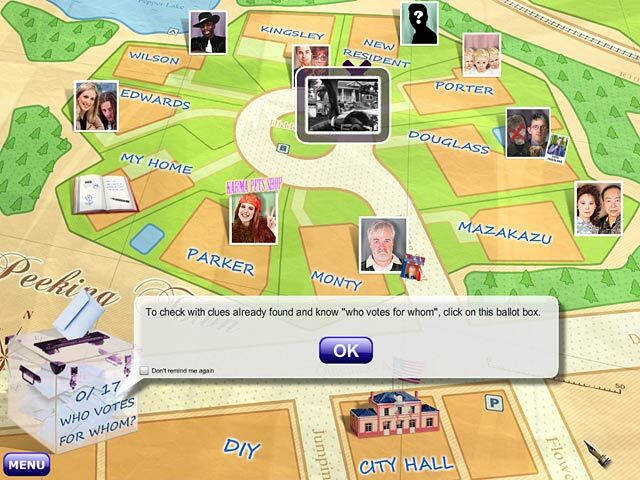 It has lots of hidden object scenes, interesting characters and a storyline with a sense of humor. I played the timed version and had no problem with that limitation. 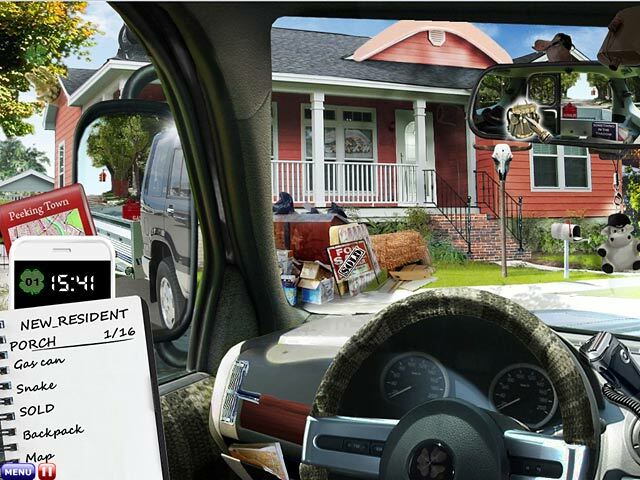 I did use several hints for the hidden object scenes because they were pretty challenging. The puzzles weren't too difficult. There was enough variation in them to make them interesting. Collecting up to 3 clovers in each scene added to the available hints. I ended the game with well over 50 unused hints. There was no recharge time on hints; as long as you had a hint available you could use them back to back. I liked this setup better than a timed hint button. At times you could tell the game was not written in English. I believe it was written in French, then translated. This created some head scratching when I couldn't find an item and the hint showed an item that was actually something completely different. Wish I could remember an example, because they were kind of funny, as well as exasperating. There was even an Epilogue chapter, just like a CE. It was not very long, but was a nice addition to the game. This game is actually a sequel and also has a sequel, so there are 3 games in this series. I have been unable to play the other 2, but you might not have the same problem. I would recommend all 3 of them to you. Don't let the cartoonish aspects of the game put you off. This is a great game with great graphics. 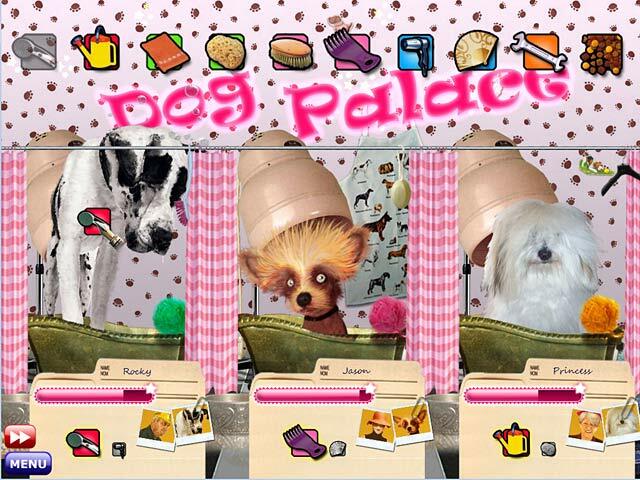 Rated 5 out of 5 by dozerdadog from Miss teri tale I love this game the storyline makes it really fun. Rated 4 out of 5 by grover3e from I wish there were more Teri Tales Fun, quirky and cute - just enough different to be unusual and totally enjoyable. Rated 3 out of 5 by 1977popcornbunny from could have been good! Could have been good if I could get past the first puzzle! Had to groom 3 dogs which was ok but I couldn't complete this in the given time so couldn't get further in the game! Should have had a skip option really for those of us who are not good at time limited games. Otherwise I enjoyed the first five minutes of the game. Rated 3 out of 5 by lucypm46 from It was just okay. The game was cute. Some of the levels were challenging, but I prefer more hidden objects and less of a story.